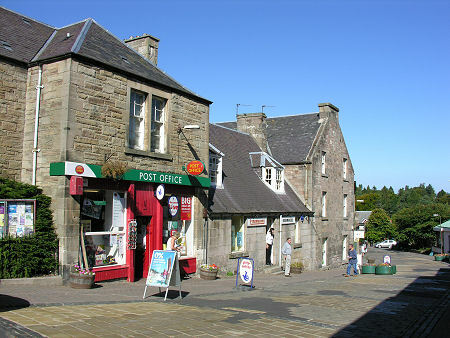 Balerno is a large village just to the south of the A70 road from Edinburgh to Lanark some three miles south west of the Edinburgh by-pass and seven miles south west of the city centre. 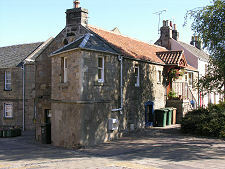 It also lies to the south of the valley of the Water of Leith, and the Bavelaw Burn runs immediately to its east: both important factors in Balerno's growth. A ribbon of development extending through Currie and Juniper Green links Balerno to Edinburgh, but despite that, the village has a surprisingly rural feel. 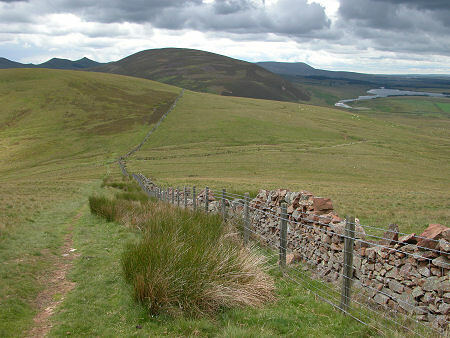 In large part this is because it forms the main gateway to the Pentland Hills, which rise immediately to the south and south west of the village and whose north eastern edge gives the A70 an extremely exposed and remote feel for more than 16 miles as you head towards Lanark from Balerno. Balerno is an unusual name for a place in Scotland. It seems to come from the Gaelic Baile Airneach, meaning "Hawthorn Farm". 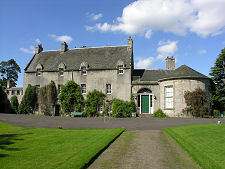 In the 1200s the settlement established here was being referred to as Balhernoch or Balernach. 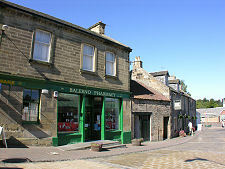 By 1750, Balerno was a village of some 500 people, and mills had long been in operation on both the Water of Leith and the fast flowing Bavelaw Burn. By the end of the 1700s at least two paper mills had been established in Balerno, and in the early 1800s they were followed by flax mills, a waulking (or fulling) mill, and more paper mills. By 1850 the population had reached 1,000. 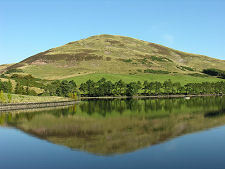 At the end of the 1800s a series of reservoirs were built in the Pentland Hills, the nearest being only a mile south of Balerno. In 1874 the railway arrived, following a line that came from Edinburgh along the valley of the Water of Leith to reach a station and goods yard at Balerno before curving north to rejoin the main line. 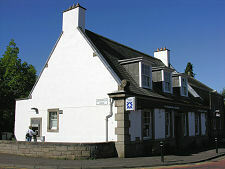 This started a trend for Balerno to be used as a dormitory for those working in Edinburgh. By the 1900s, quarrying along the ridge between Balerno and Kirknewton also became established. 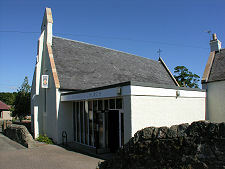 The population of Balerno had reached 1,500 by 1950. The railway was closed to passengers in 1943, and to freight in 1967. Its line towards Edinburgh now forms part of the Water of Leith Walkway. But despite this, the story of Balerno since 1950 has been one of rapid growth. It forms part of the area of City of Edinburgh Council, and in some ways can be thought of as the most south westerly of Edinburgh's suburbs, albeit with a rural location that has made it a very attractive place to live. In the 50 years from 1950 to 2001 the population increased from 1,500 to 6,031. 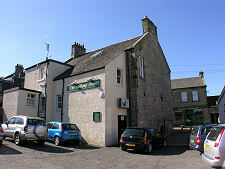 Today's village has a small core comprising some shops and other services such as churches, banks and pubs. It is also well served by schools. You get the feeling, however, that much of the residents' shopping is done in the large supermarkets on this side of Edinburgh. 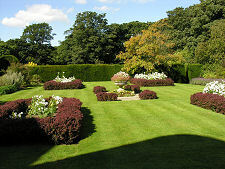 Balerno is also home to Malleny Garden, a remarkable oasis which since 1968 has been owned by the National Trust for Scotland and is open to the public.